At this year’s ACM ISS (formerly known as ACM ITS) our group presented three accepted contributions – two full papers and one demo contribution. 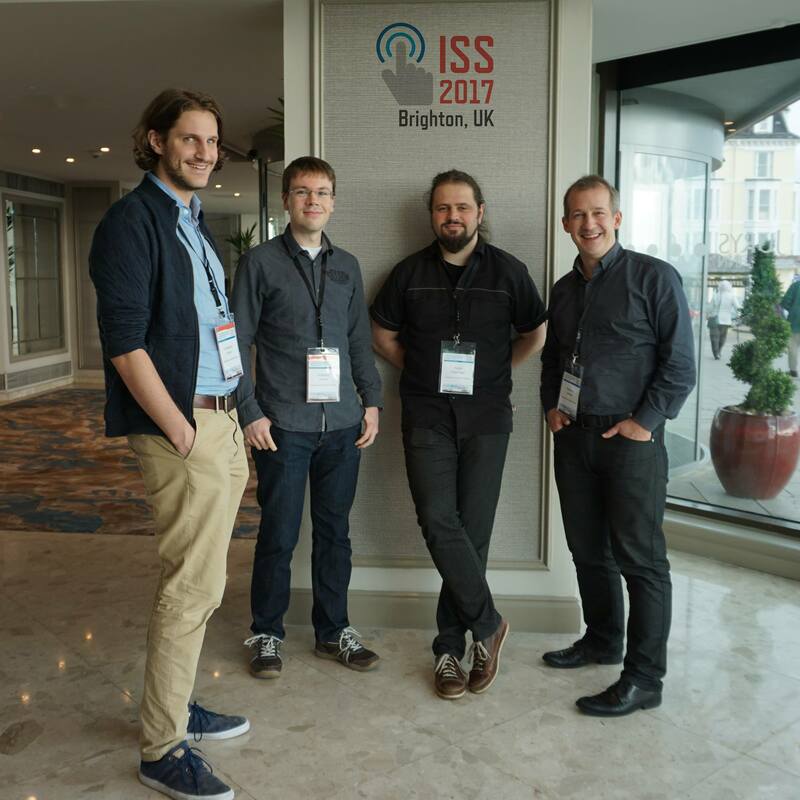 The 2017 ACM International Conference on Interactive Surfaces and Spaces took place in Brighton, UK from October 17th to 20th, 2017. This year, Raimund Dachselt served as one of the program chairs, together with Diego Martinez Plasencia and Tovi Grossman. Wolfgang Büschel presented our full paper Investigating the Use of Spatial Interaction for 3D Data Visualization on Mobile Devices. In this paper, we investigated how mobile devices can be used to explore 3D data visualizations with mobile devices. Additionally, Fabrice Matulic presented the paper Hand Contact Shape Recognition for Posture-Based Tabletop Widgets and Interaction. Finally, we are very happy that Konstantin Klamka, Wolfgang, and Raimund received the Best Demo Award for their IllumiPaper demo Illuminated Interactive Paper with Multiple Input Modalities for Form Filling Applications. We also added some photos to our gallery. 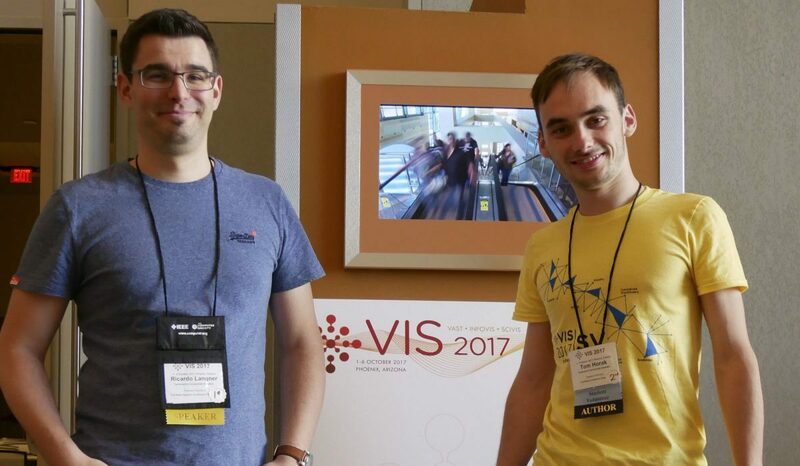 The IEEE VIS, the leading conference on visualization research, took place in Phoenix, Arizona, USA from October 1 to 6. Ricardo Langner and Tom Horak represented the Interactive Media Lab with both a paper and a poster. On Tuesday, Ricardo gave his talk on our paper VisTiles: Coordinating and Combining Co-located Mobile Devices for Visual Data Exploration in the opening session of the InfoVis track. Notably, the first ideas for VisTiles were presented as a poster at VIS last year, received an honorable mention, and became now a full paper. Our second contribution was presented on Wednesday: Tom showed and explained our poster Improving Value Driver Trees to Enhance Business Data Analysis (poster PDF) during the poster session. Again, IEEE VIS has been an exciting and inspiring conference as also can be seen in our photo gallery.